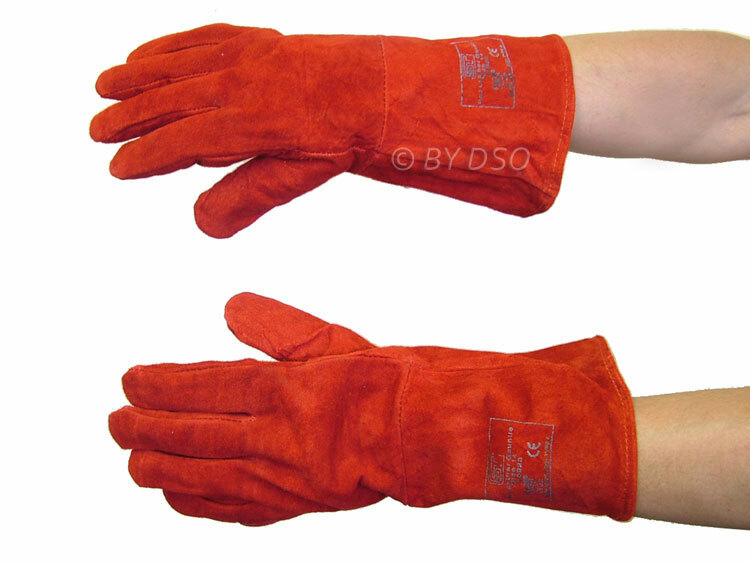 Avoid burns with this pair of quality fully lined welding gloves made from leather to keep your hands cool while working with extreme heat. With extra coverage on the forearm than most welding gloves, these make a perfect addition to our other welding accessories. CE Approved for assurance of quality and safety. Colour of these gloves can vary. Red, blue, black or green.